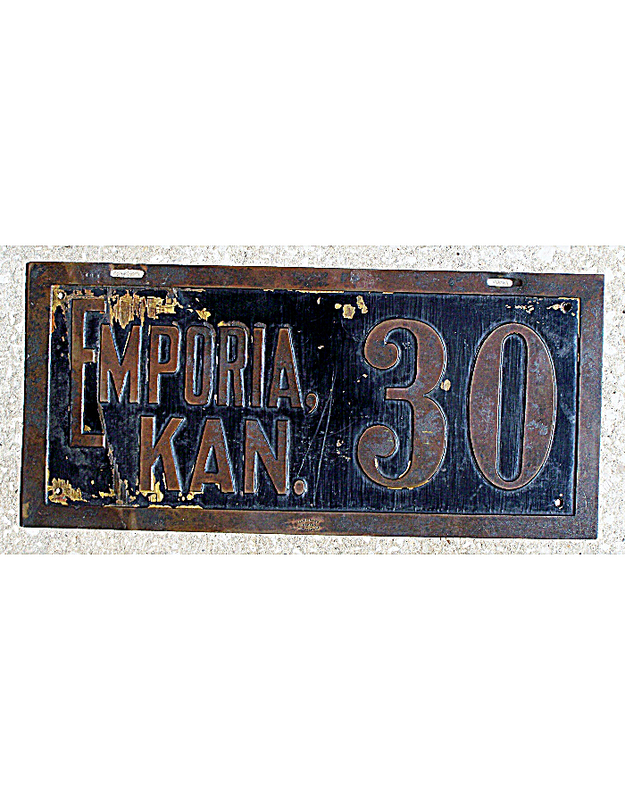 Pre-state automobile licensing in Kansas was a patchwork of local ordinances that required automobiles to be registered as early as 1909. 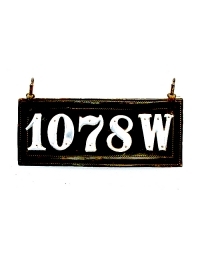 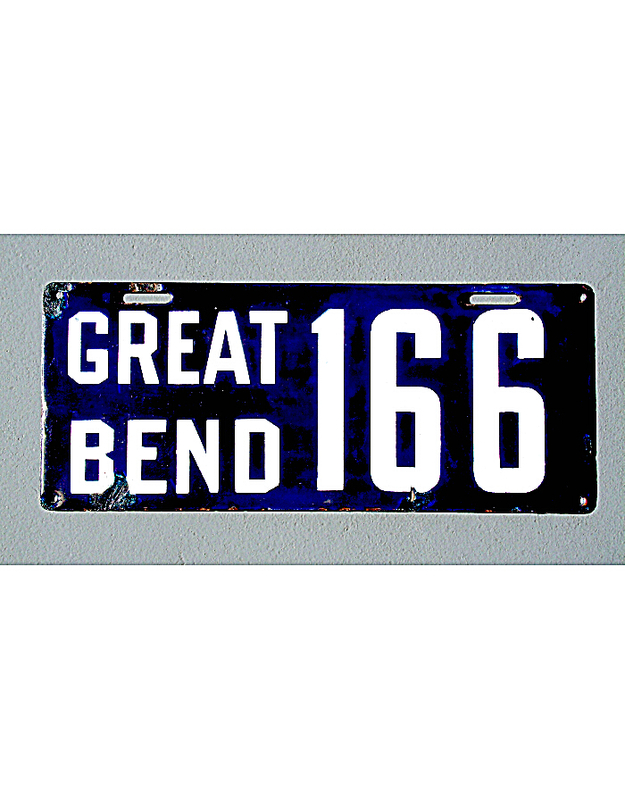 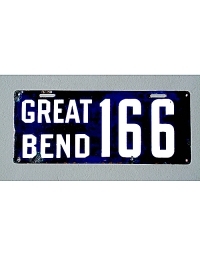 The state government, however, did not require registration at the state level until 1913, when uniform state-issued license plates were provided and local registration ended. 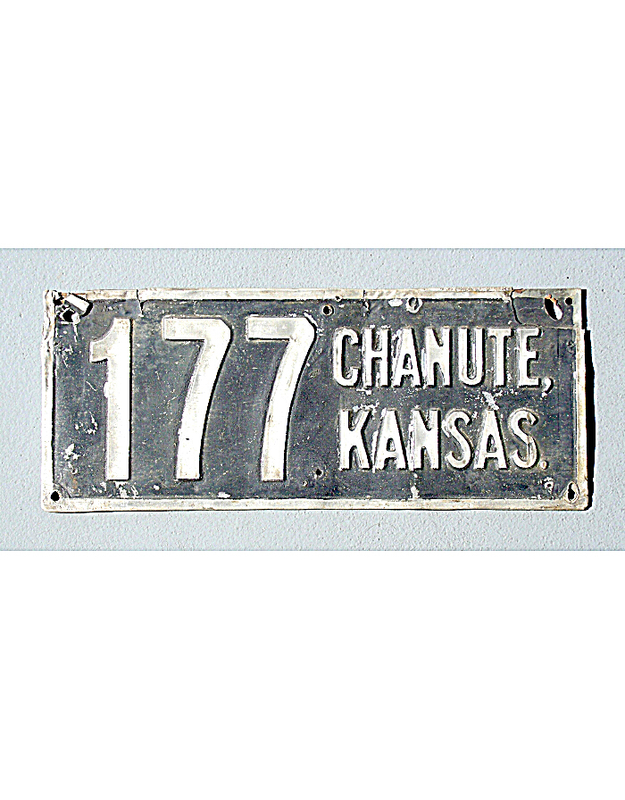 Some Kansas towns from which pre-state licenses are known are very small; others are major cities such as Topeka and Wichita. 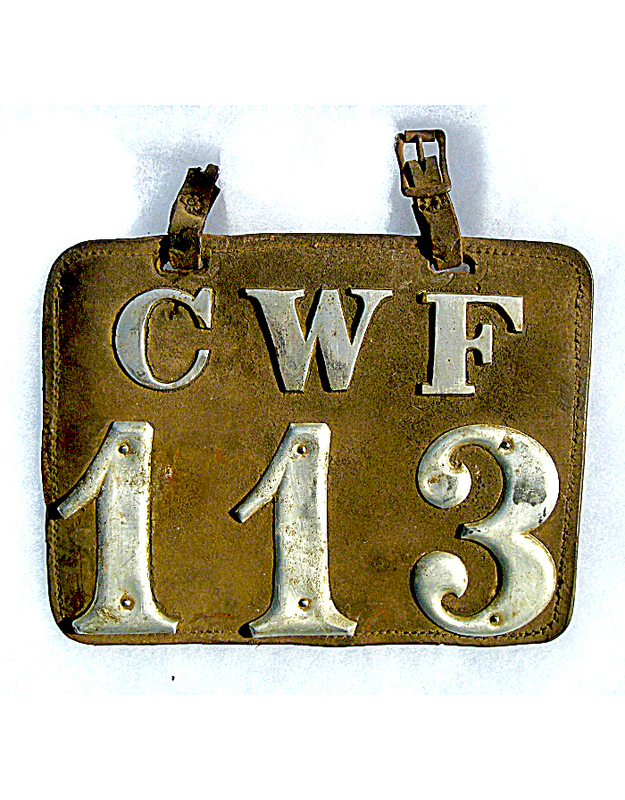 A few are shown here. 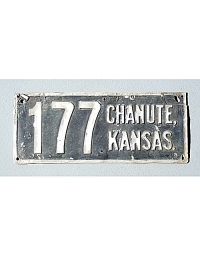 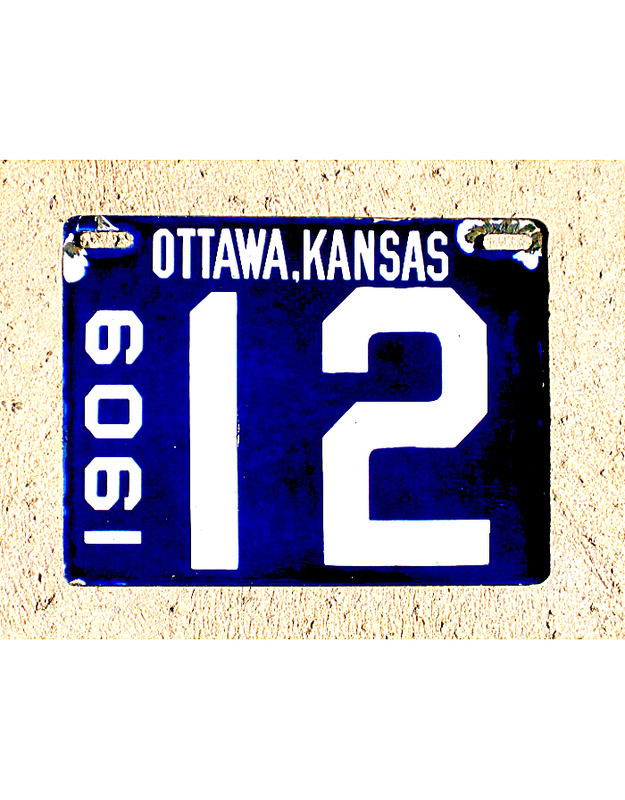 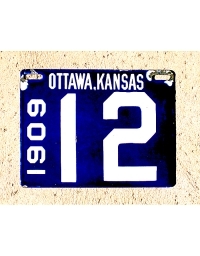 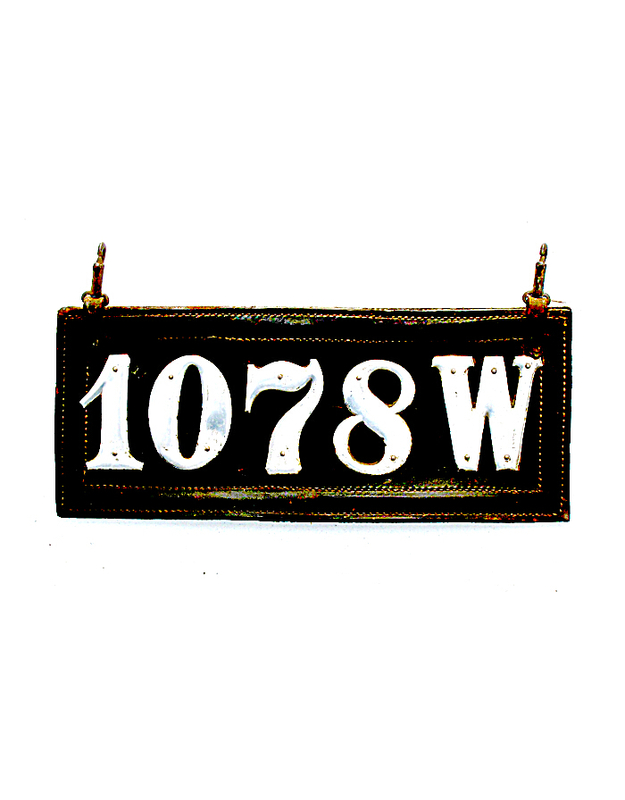 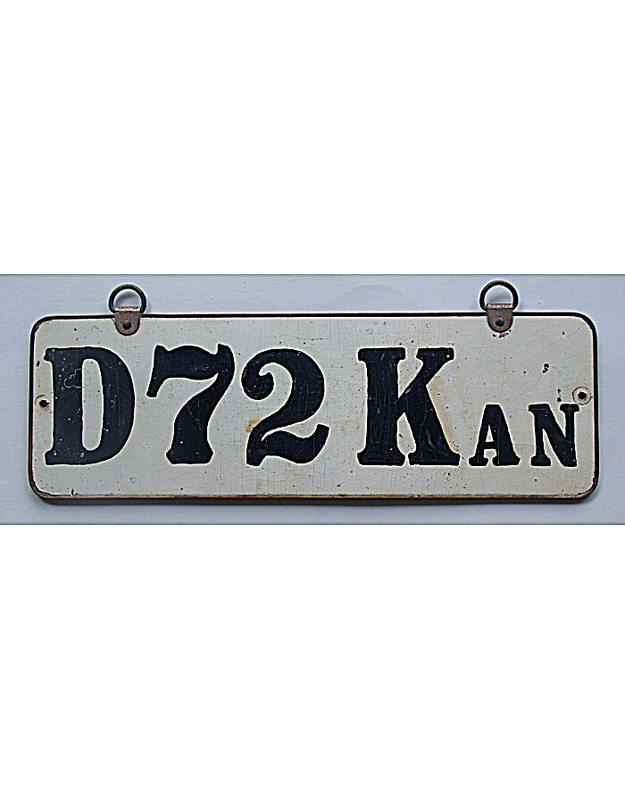 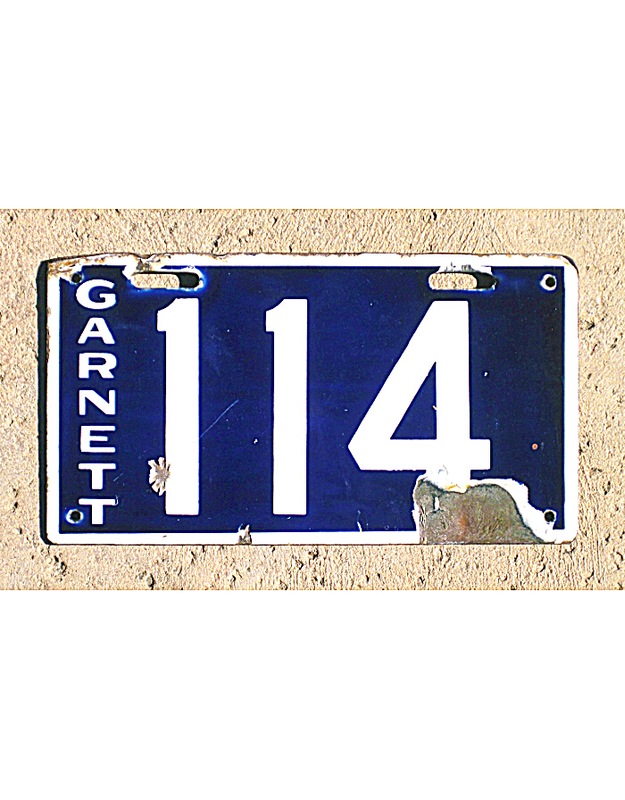 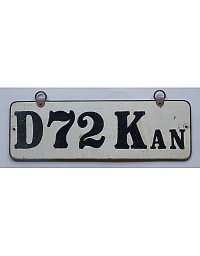 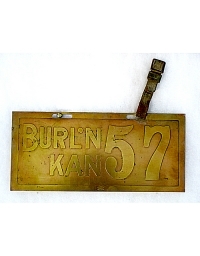 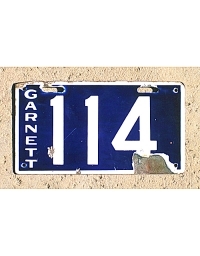 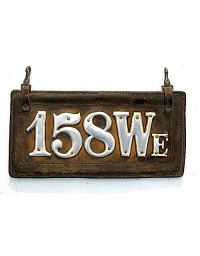 Local pre-state plates are known from the following Kansas towns and cities: Atchison (“ATCH”), Burlingame, Burlington, Chanute, Cottonwood Falls (“CWF”) Dodge City (“D” or“DC”), Emopria, Garfield, Garnett, Great Bend, Hays, Hutchison, Iola, Kansas City (“KCK”), Kingman, Kinsley, Larned, Manhattan, Marysville (“M”), McPherson, Ottawa (leather and dated 1909 porcelain), Pratt, Stafford, Stanton, Tonganoxie, Topeka(city issued leather, no ID), WaKeeney, Wellington(“We”) and Wichita(city issued leathers with “W” suffix and three-color porcelain with city spelled out). 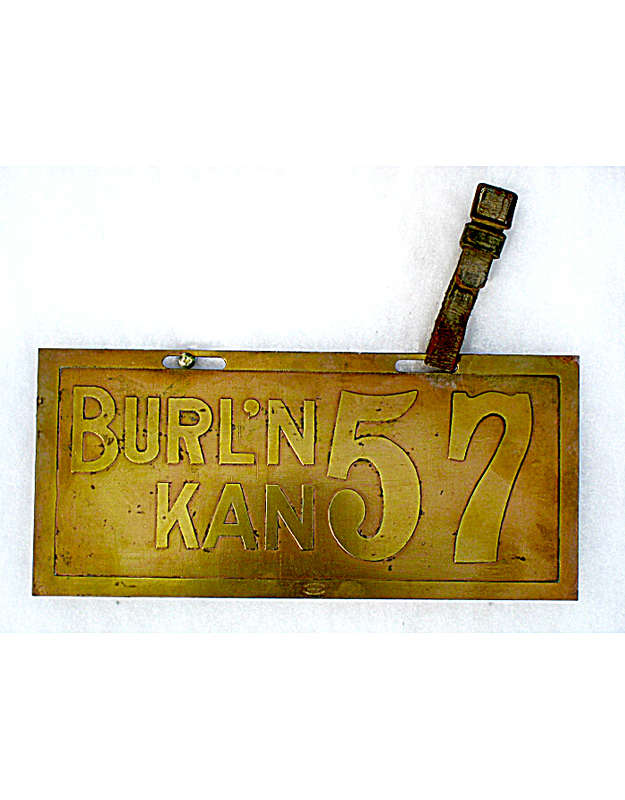 In addition, a few pre-state plates are known with the state initials “KAN”. 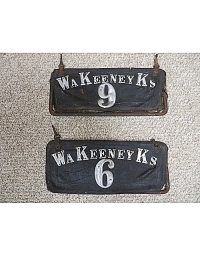 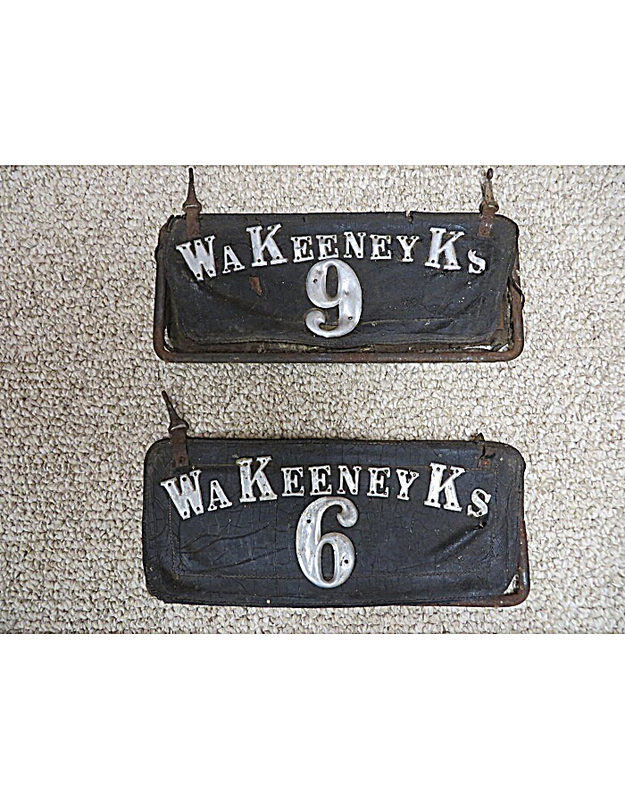 Their origin is not known, but collectors speculate these are from Topeka, the state capital. 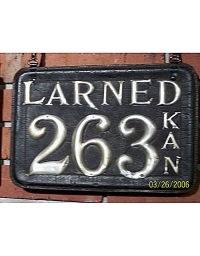 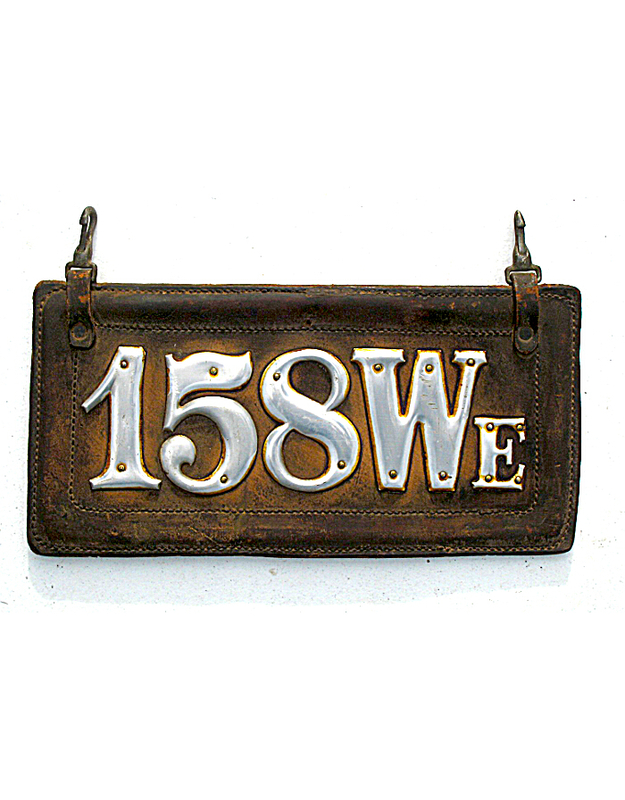 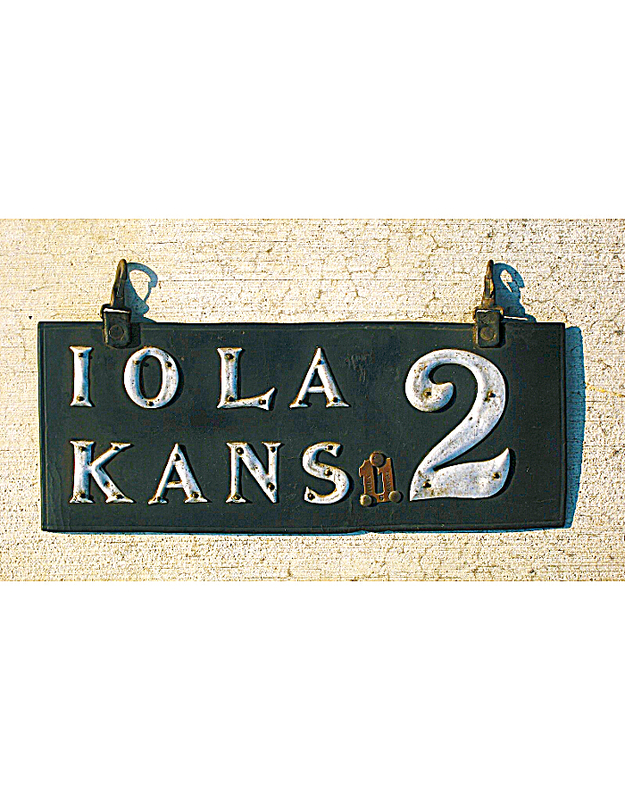 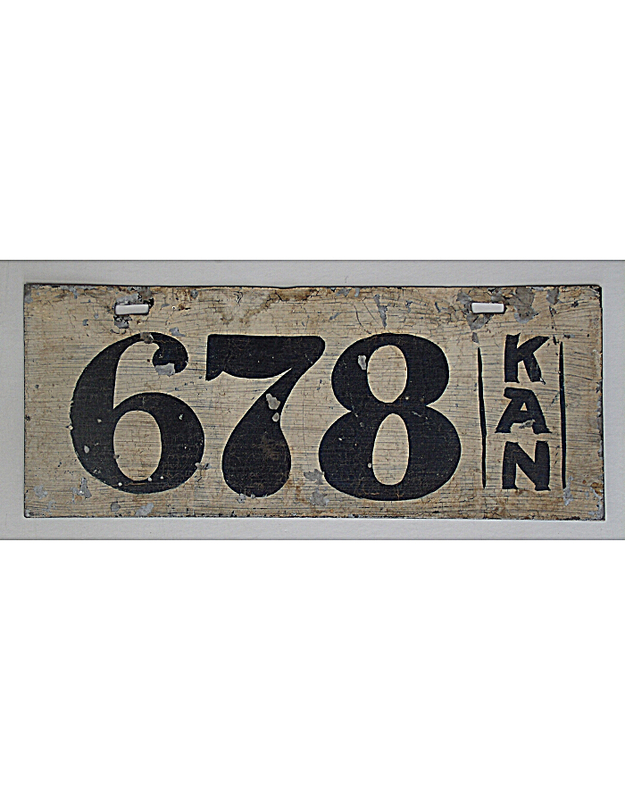 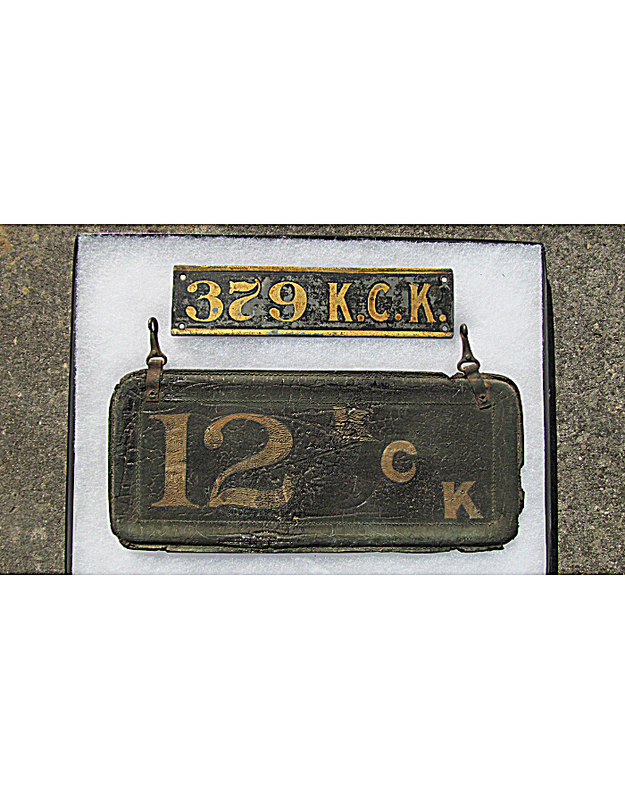 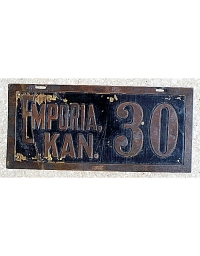 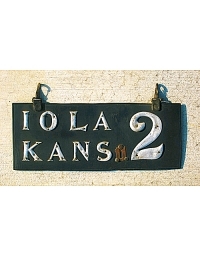 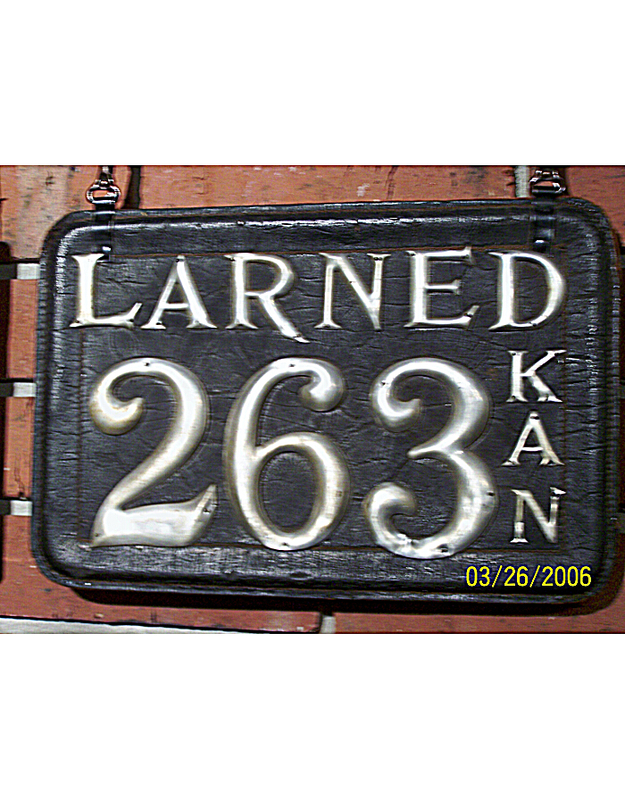 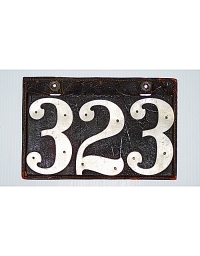 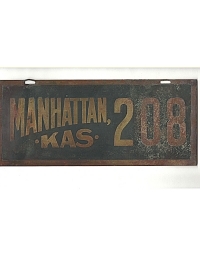 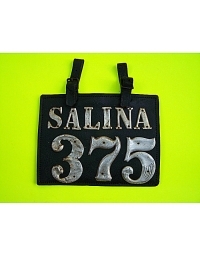 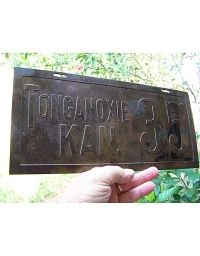 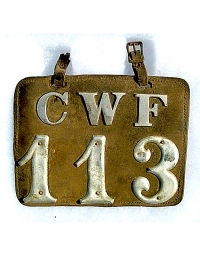 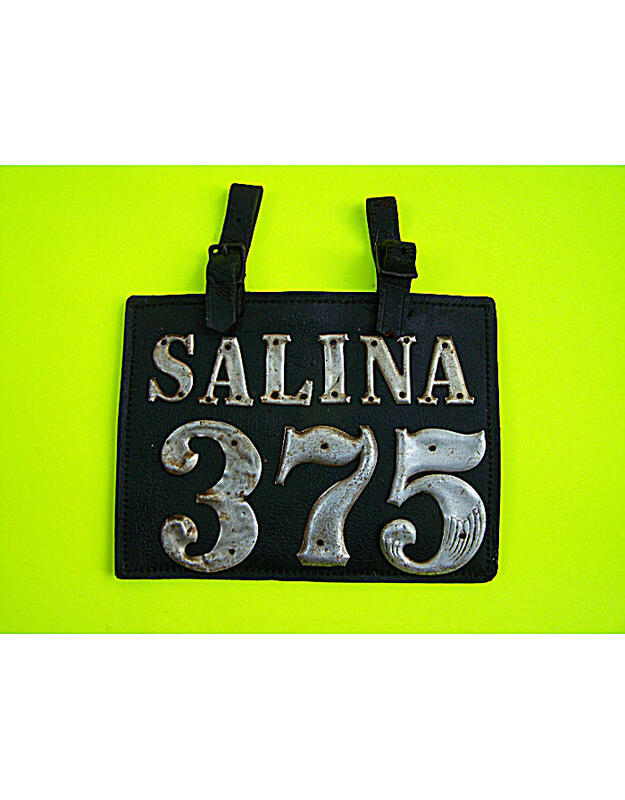 Topeka is also known to have provided the leather license plate #323, shown here. 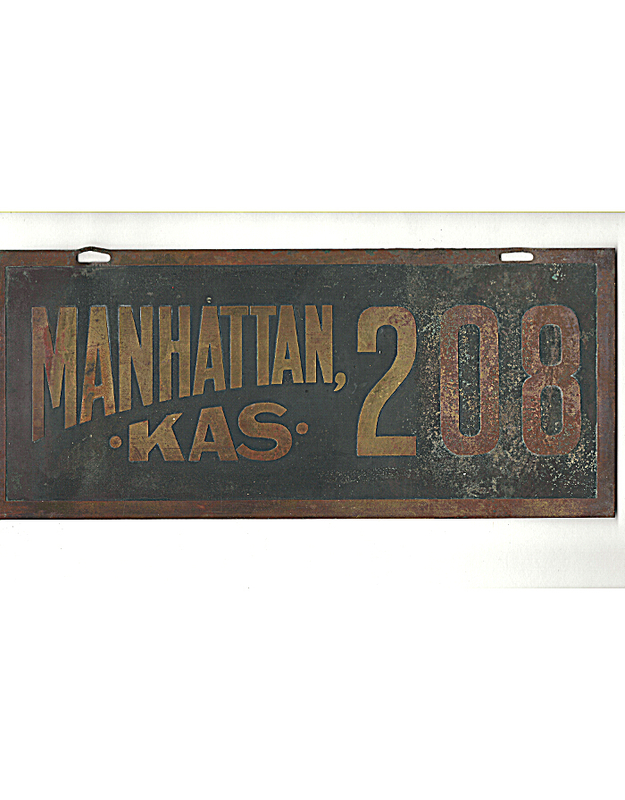 Many more cities and towns are likely to be found in the future.